For every serious dating site on the internet, there is an equally silly one. That is not to say that every niche doesn’t have some legitimacy, but rather that the basis on which they are founded is generally a more tongue in cheek one. SeekingArrangement is a dating site designed for “Sugar Babies” seeking a “Sugar Daddy” or “Sugar Momma”. 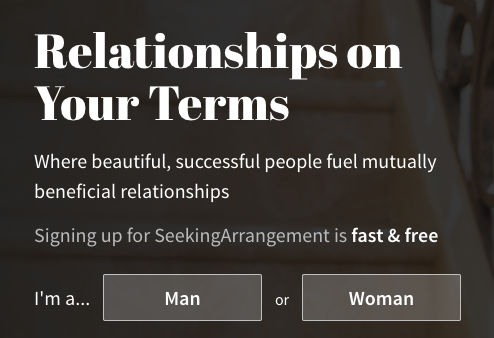 Finance-based relationships are nothing new, but never has a website been so unabashed about making these connections. I signed up for SeekingArrangement out of morbid curiosity and to get an idea if there is some value to the site for the average user. 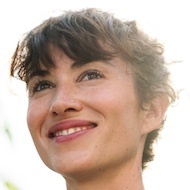 The signup process begins with selecting your gender, your purpose on the site (which can be to be a provider or to find one), and your sexual preference. Once completed you will be directed to create a profile. The process begins innocently enough with a profile picture request. Once you reach the second step, however, you begin to understand that SeekingArrangment is like no other dating website you’ve tried. The first question you will be asked is about your monthly spending habits. Only after clarifying that important piece of information will you be asked to fill out details about your location, build, ethnicity, and other personal information. After filling out this information you will be directed to the main landing page. The homepage layout is straightforward and doesn’t require much of a learning curve to navigate. When you log in you will be presented with a list of the newest members, but you can also quickly switch to a premium member view and a featured member view. Premium members are those who are deemed serious about starting a relationship and featured members are those with whom you have the best chance with. The header toolbar, which can be accessed from any page, offers you access to messages, likes, and a forum. SeekingArrangment is light on features. Aside from a search with countless filter options, nothing about the service stands out. There is a basic inbox feature, an ‘interests’ feature where you can see your favourites and those who favour you, and a forum which is nothing more than a link to a dating blog. 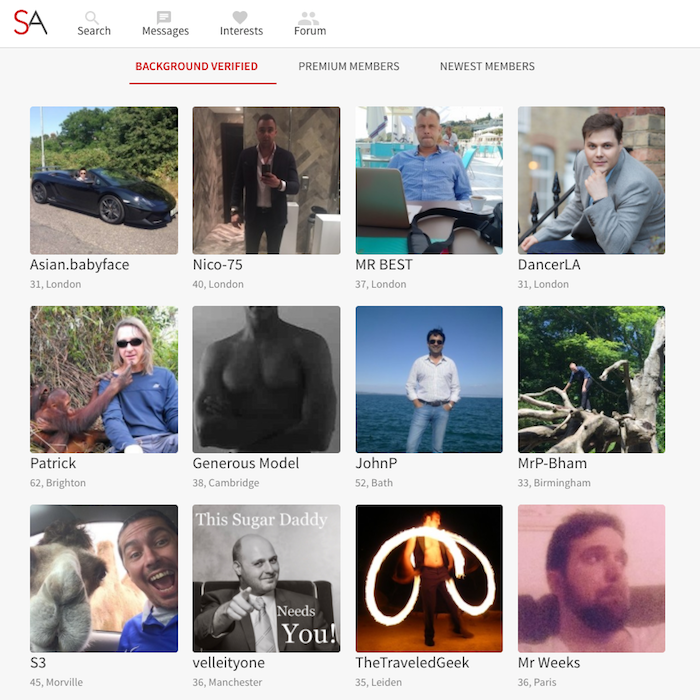 If you are expecting a full-featured site, SeekingArrangement is definitely not for you. Worth noting is that not all Sugar Daddies and Mommas on the site are necessarily wealthy. I came across many individuals with average and less-than-average salaries. Unless you fail to pay for the service. In that case, your details are provided to a collection agency and who knows who else. If you delete your account on the site, SeekingArrangement retains the right to store your information indefinitely. As for on-site safety, the service is well-equipped to verify accounts and ensure a moderate level of security against catfishers and scammers. SeekingArragement is fairly limited if you don’t purchase a premium account. As with most dating services, the longer the term you commit to, the less you will pay for the service. 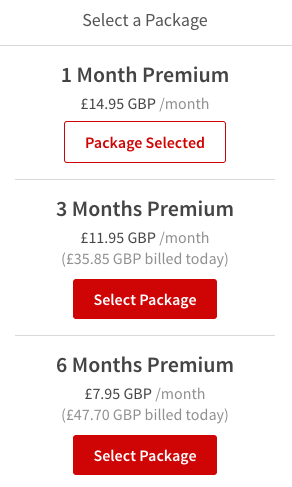 A one-month package costs £14.95 per month, a three-month package costs £11.95 per month, and a six-month package costs £7.95 per month. SeekingArragement is a very silly dating service which only becomes more preposterous the more you explore it. Aside from the lack of features, the concept all but ensures a userbase lacking scruples and commitment. I don’t recommend SeekingArragement as a serious dating platform, but I recommend checking out this list of those that I do.